For those looking for a little privacy between rooms, these Obscure glazed Oak unfinished Room Dividers allow you that privacy, whilst still allowing some light to flow between rooms. 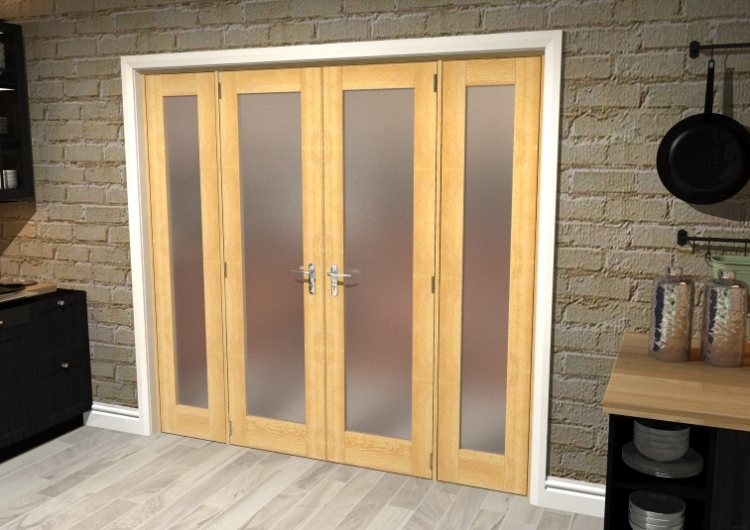 These Glazed Oak interior french doors are supplied with toughened frosted glass as standard. All of our Glazed internal French doors come complete with frame pack, pair maker and door leaves with installation instructions. Hardware pack is not included. To best select the option to buy, look at the door type you like and then review the product sizes that fits your needs. The simplistic and yet stylish, oak room divider range has an engineered core, ideal for strength, durability and value for money, whilst looking at the true benefits of real oak.